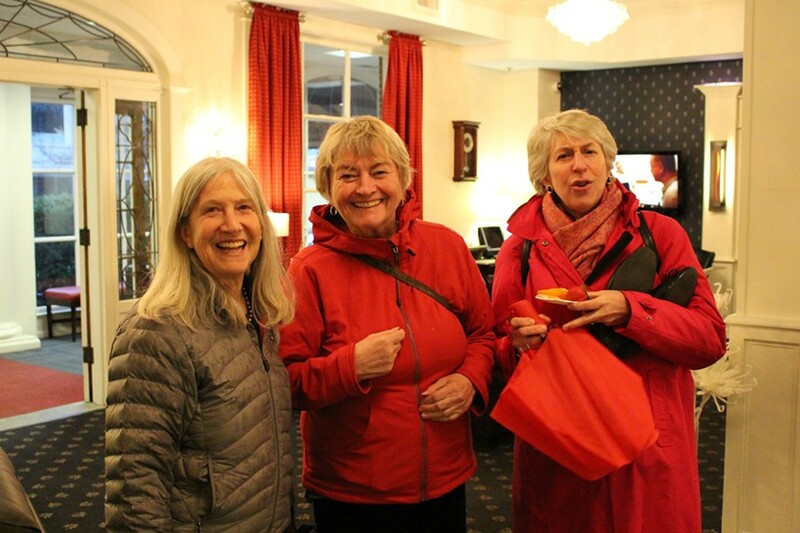 As the Vermont House worked into the evening on Wednesday, a steady stream of lobbyists and Democratic leaders left the Statehouse and walked up State Street to the Capitol Plaza Hotel. Their destination? 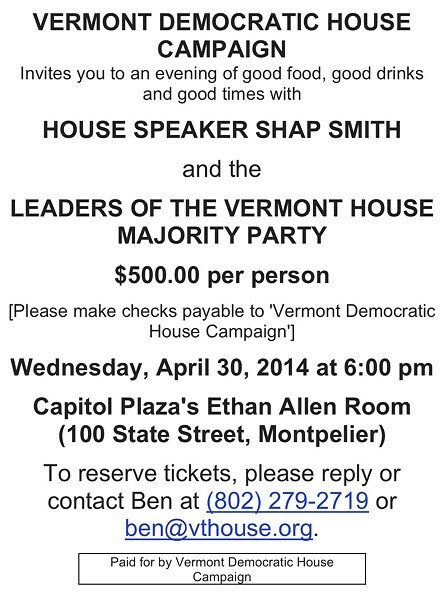 A $500-a-head fundraiser benefiting the Vermont Democratic House Campaign, a political action committee run by House leadership to elect Democratic candidates. With just days remaining in the legislative session, both lawmakers and lobbyists were taking a break from last-minute legislative negotiations to exchange campaign checks and pleasantries over beer and wine. 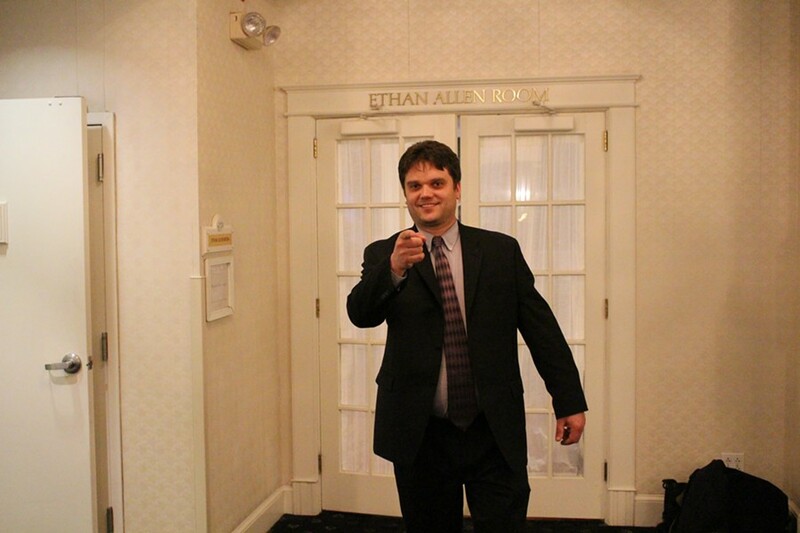 "You want to get to know the people that you're working with and try to influence and have them get to know you," explained Downs Rachlin Martin lobbyist Joe Choquette outside the event. "In our business, you trade on knowledge and you trade on relationships." Of the fundraiser, he said, "It's considered the cost of doing business." Vermont Democratic House Campaign executive director Ben Palkowski (center) chats with American Federation of Teachers-Vermont president Ben Johnson (right). As we wrote in March and in this week's cover story, Vermont lawmakers are legally barred from raising money from lobbyists until the legislature adjourns. But politicians of both parties regularly flout that ban by raising lobbyist cash through PACs — and then directing it to their reelection efforts. Those who attended Wednesday night's shindig didn't think it was a big deal. "It's just a fundraiser," said Rep. Tony Klein (D-East Montpelier), who chairs the House Committee on Natural Resources and Energy. 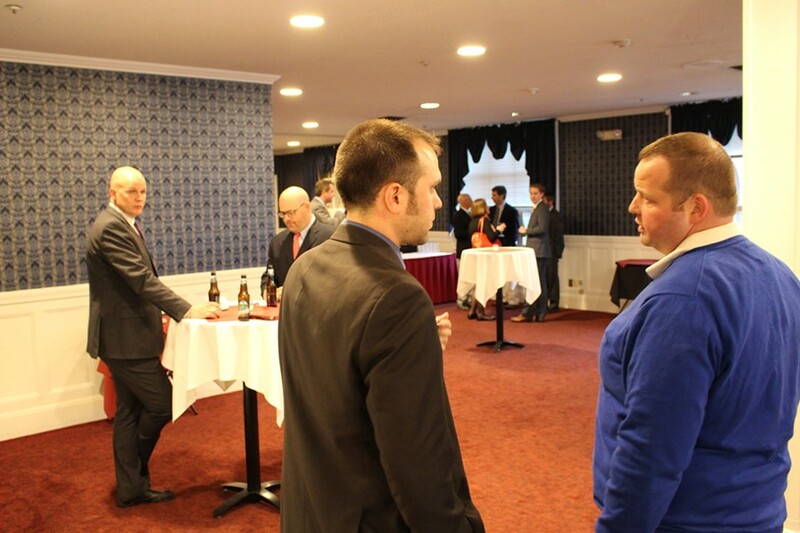 "So there's lobbyists and their clients and there's finger food and some drinks and some chat and that's about it." 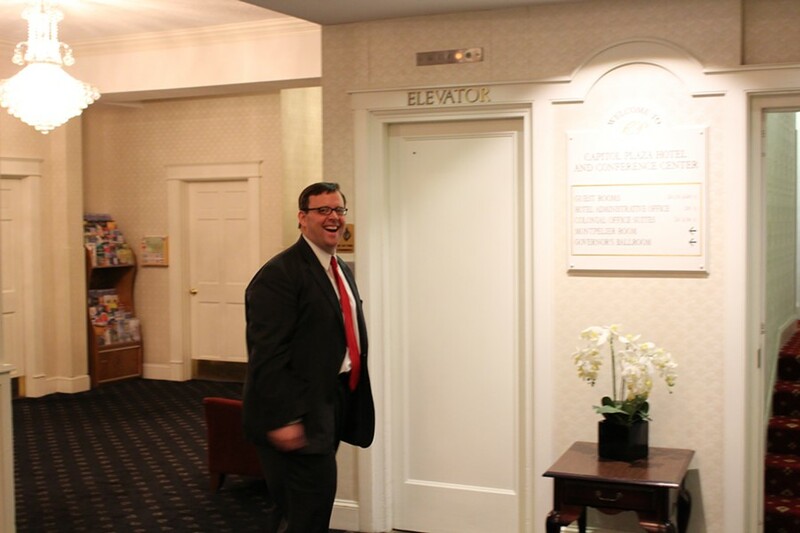 Over the course of two hours, Seven Days observed nearly two dozen lobbyists and a dozen Democratic lawmakers — mostly committee chairs and members of the House leadership team — entering the Capitol Plaza's Ethan Allen room. 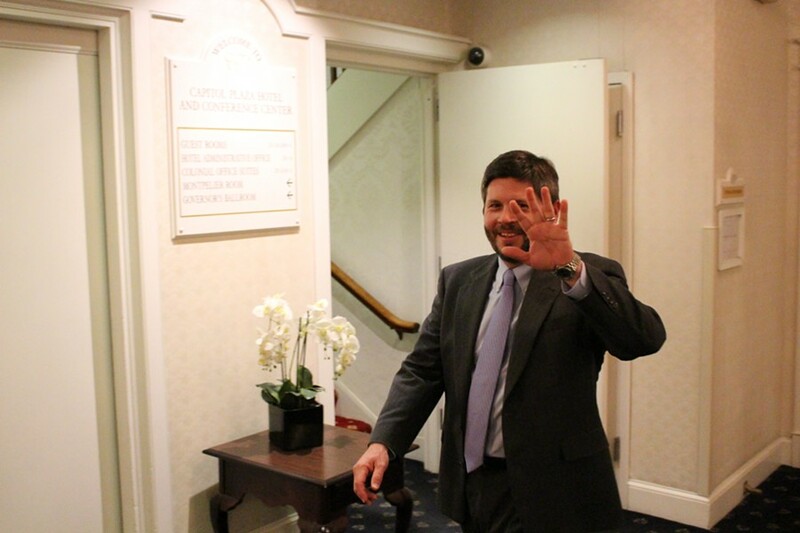 But when a Seven Days reporter attempted to join the crowd, Vermont Democratic House Campaign executive director Ben Palkowski asked him to fork over $500 or take a hike. 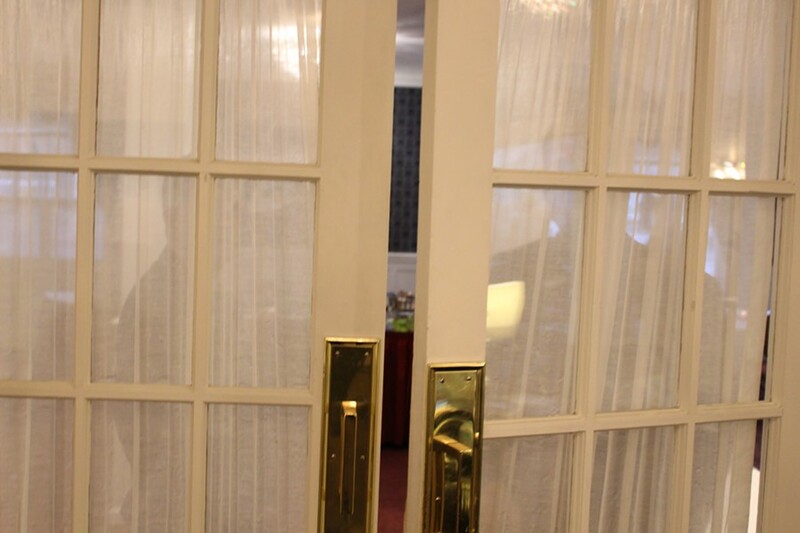 Shortly thereafter, the doors to the Ethan Allen room were closed. So who attended? Among the lobbyists spotted were Todd Bailey (KSE Partners), Nick Carter (Planned Parenthood of Northern New England), Choquette, Warren Coleman (MacLean Meehan & Rice), John Hollar (Downs Rachlin Martin), Steve Howard (Vermont State Employees Association), Ben Johnson (American Federation of Teachers-Vermont), Andrew MacLean (MMR), David Mickenberg (Necrason Group), Adam Necrason (Necrason Group), Laura Pelosi (MMR) and Nick Sherman (KSE). In addition to the $500 they paid to attend, some lobbyists brought guests — and even more dough. 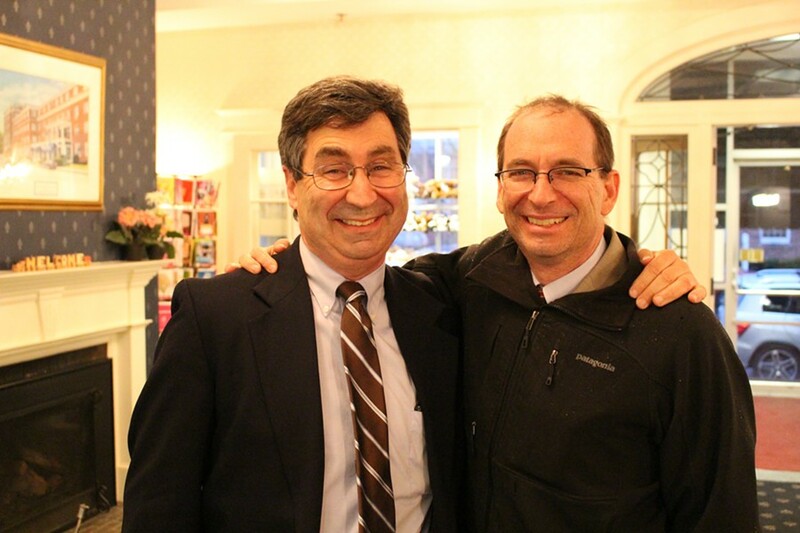 Accompanying Sherman was one of his clients, Toy Industry Association lobbyist Andy Hackman. The Washington, D.C., lobbyist has spent plenty of time in Montpelier lately trying to weaken legislation regulating toxic chemicals. Joining MacLean was Corrections Corporation of America senior director Dan Kaman. MacLean said he was participating in the fundraiser on behalf of six of his clients, each of which planned to write $500 checks. Among them, he said, was CCA and the American Beverage Association. "It was a fundraising event and we had a couple clients who wanted to participate and we did," MacLean said. As he was being interviewed, House Committee on Health Care chairman Mike Fisher (D-Lincoln) walked up to MacLean, threw an arm around him and mugged for a photo. "This is a bigger problem for him than me," MacLean deadpanned. Then Fisher walked into the fundraiser. Fisher was far from the only top Democrat in attendance. Among those spotted were Majority Leader Willem Jewett (D-Ripton), Majority Whip Kate Webb (D-Shelburne), House Committee on Ways and Means chairwoman Janet Ancel (D-Calais), House Committee on Education chairwoman Joey Donovan (D-Burlington), House Committee on Human Services chairwoman Ann Pugh (D-South Burlington), Rep. Tim Jermain (D-Essex) and Klein. Whether the lobbyists' $500 donations did much to influence those legislators was hard to say. Halfway through the event, Webb ducked out for a moment to speak with Seven Days. "That is not the crowd that gets my vote," she said. "If you looked at the people who are in there and you looked at my voting record, there's a serious mismatch." House Committee on Ways and Means chairwoman Janet Ancel, House Committee on Education chairwoman Joey Donovan and Rep. Alison Clarkson (D-Woodstock). The fundraiser's guest of honor, House Speaker Shap Smith (D-Morristown), showed up fashionably late. Smith was busy presiding over the House until it adjourned just before 7 p.m., an hour into the fundraiser. Minutes later, he appeared at the Capitol Plaza. 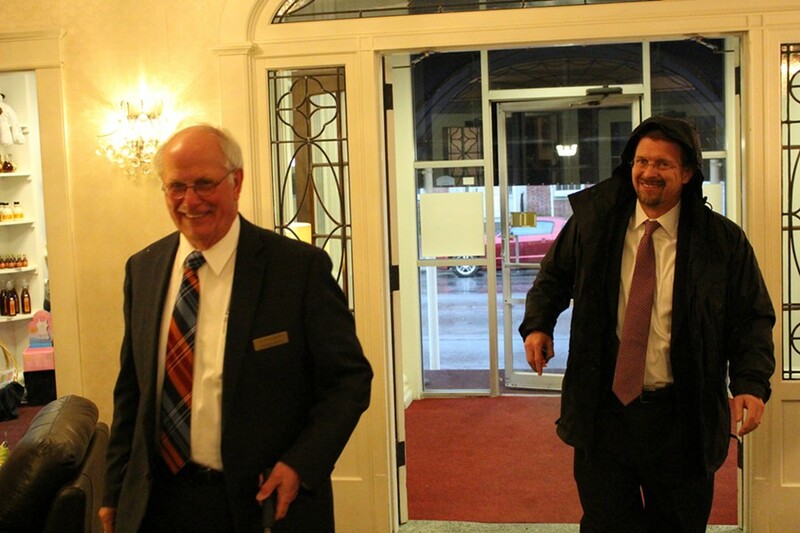 House Speaker Shap Smith (right) arrives at the Capitol Plaza. Despite serving as the fundraiser's chief attraction, Smith didn't seem to know much about it. Shap Smith: You know, I actually don’t know who’s attending. I saw about 20 lobbyists walk in there. Is that the intended audience here? To bring lobbyists to this fundraiser? It’s, you know, whoever wants to come. Is it normal to hold a fundraiser like this, this close to the end of the session and invite all these lobbyists to it? You know, I think we have done them in April before, so I don’t think it’s unusual. Is it problematic in any way, given that you guys are sort of making your big decisions right now and putting the final touches on bills? I’ll put my votes up for people to know whether they think I'm influenced or not. Anybody who knows me basically knows that I march to my own drummer. And there is a ban on giving donations to members during the session. There is not one for PACs, obviously. Do you think that raising money from lobbyists to a PAC that essentially helps you and leadership in general is appropriate? Those are the rules of the road and we play by the rules of the road — whether we like them or not. As I've said before, the Statehouse is a place where all Vermonters have access. And so whether people think it’s appropriate or not is their own decision, but the law is the law. But only people who pay $500 have access here, right? Anyone who wants a meeting with the speaker of the House gets a meeting with the speaker of the House. It doesn’t matter whether you’ve donated money to the Democratic Party, whether you’ve donated money to me, whether you've donated money to the Vermont Democratic House Campaign. Whether you agree with me or not, if you ask for a meeting with me, you get it. Do you mind if I attend the rest of this event? You know, I actually am not running the event, so I can talk to the VDHC director. You're not running the event? I am not running the event. I don’t actually run the event. But you employ the guy who's running the event. I don’t employ him. The Vermont Democratic House Campaign does. And I am not the chair of the [VDHC] board. I am a member of the board. Your name is splashed across the invitation as the featured guest, but that doesn’t give you any kind of power? Do you mind asking for me, because I would love to attend, it if that’s possible. I will talk to [Palkowski]. 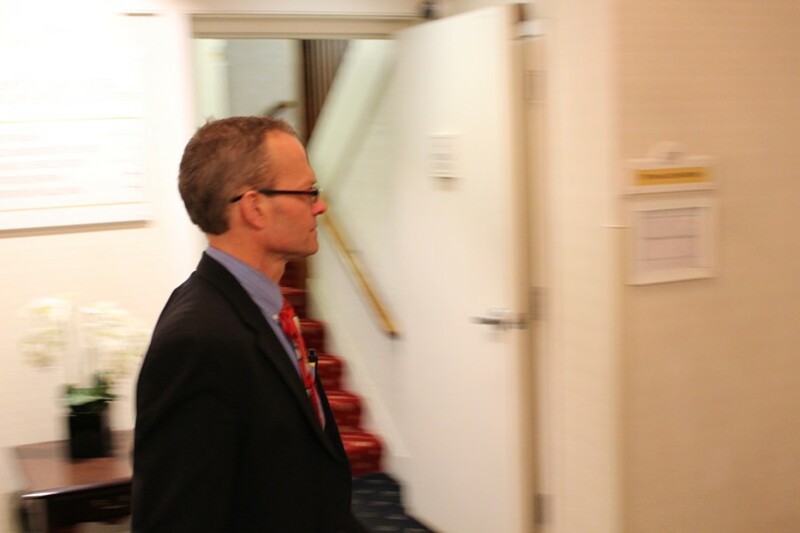 About an hour later, Smith and Fisher exited the Ethan Allen room. Apparently, the speaker had no luck persuading Palkowski, who later said that the fundraiser drew between $15,000 and $20,000 in donations. "So you're not going to let me into this kind of thing?" Seven Days asked. 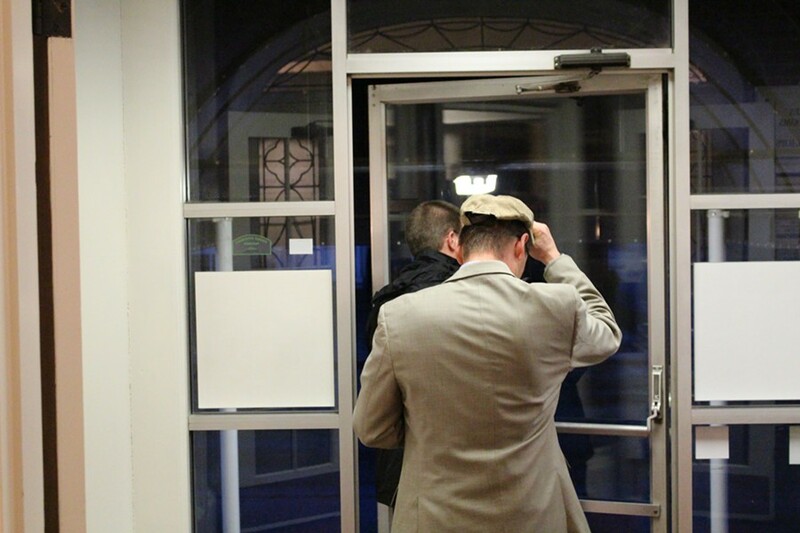 "No," Smith said, as he walked out the front door of the Capitol Plaza. "I don't see why not," Seven Days said. "See ya," the speaker said.